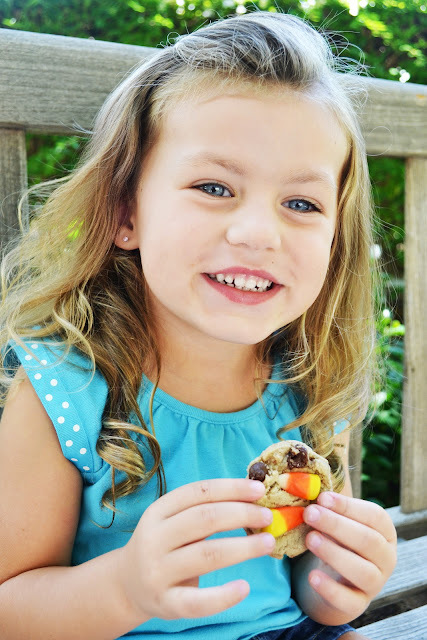 Polkadots on Parade: Candy Corn Chocolate Chip Cookies! C is for Candy Corn Chocolate Chip Cookies! I took two of my favorite things and combined them into a new favorite! This cutie couldn't wait to get her hands on one or ten of them! 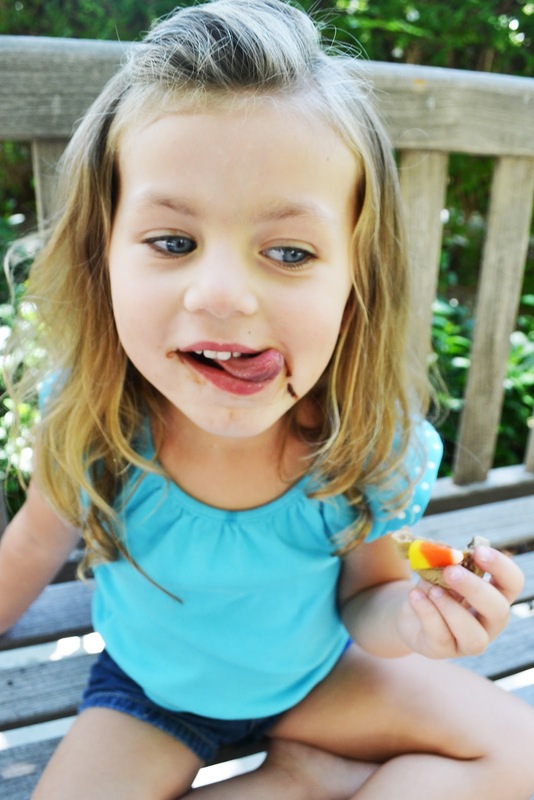 Press a couple candy corn into the top when they are hot out of the oven! Yumm! 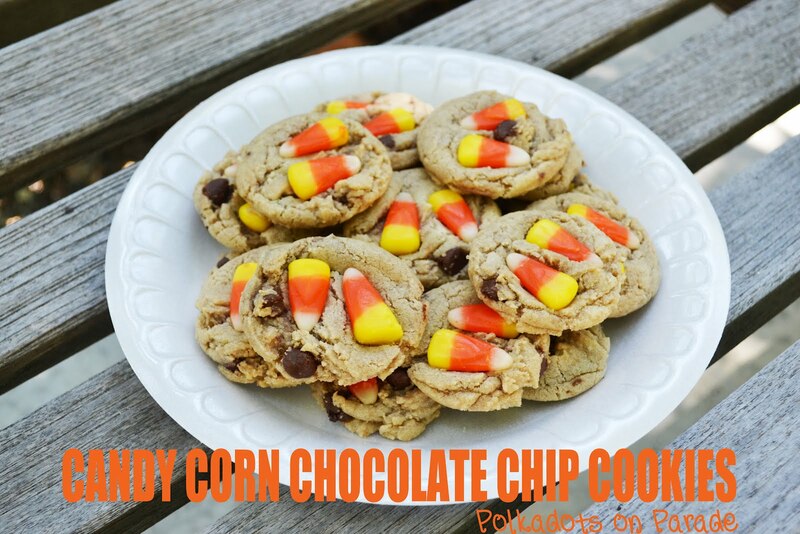 I didn't think of using candy corn in chocolate chip cookies but that is a delicious idea! Thanks for sharing! Yum! If you haven’t already, I hope you’ll visit "One Creative Weekend" on OneCreativeMommy.com (open every Fri-Wed) and link up this idea and anything else you’d like to share.